Whether you’re driving alone or with passengers, safety should always be your top concern. With more distractions than ever, it’s crucial that drivers know the basics of safe driving and practice them every time they’re behind the wheel. Driving in the car comes with many distractions: phones, kids, traffic… the list goes on. Staying focused can be difficult, but we’re encouraging you to drive more safely with these helpful tips. Note: please do not read them while driving. If you need to be on your phone 24/7, please be safe and avoid using it in the car. Many people find it helpful to leave their phone in the backseat so they are not tempted to look at it during the drive. Or if possible, leave your device in silent mode so the constant buzzing or ringing doesn’t impact your driving attention. Do you love to listen to music in the car? Enjoy your tunes without blasting the volume. If you have your music too high, you could miss important things on the road like emergency vehicles or other cars trying to communicate with you. Don’t drive tired, especially at night. If you start to feel yourself dozing off, turn on the AC to keep yourself awake…. make it feel like an igloo in the car if you have to. Or open up your windows! The rushing wind should help keep you awake. Get some caffeine and turn into a gas station or drive-thru to grab some coffee. Stay alert to road obstacles. In Florida, it’s not uncommon to see birds, turtles, or even deer in the middle of the road. Exercise caution and pay extra attention when driving on rural roads, or even in some subdivisions in the Lakewood Ranch or Parrish area that are more removed from Bradenton proper. Kids are notorious for causing you to take your eyes off the road. Try to get them settled in with anything they would need easily within their reach. You can find a number of organizers that hang on the seat back in front of children that allow easy access to toys, snacks, etc. For younger children, do the best you can to get them happy and settled before the drive, and be sure to pull over if there is a real problem. Try to avoid the backwards reach (that almost every parent has mastered). For long car trips, try a reward system with your older children. Those who demonstrate good behavior get a special treat at the next stop, while kids with bad behavior have to miss out on the special treat. Especially on road trips, designate a “navigator” who can operate GPS devices while you’re driving. While helpful and almost integral to driving these days, Map apps and GPS systems can be incredibly distracting. Offer control of the radio and air conditioning to another passenger. Or, better yet, take care of those comforts before departing on your journey. 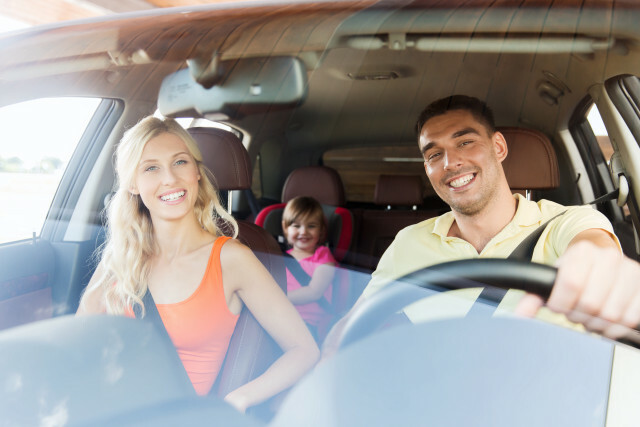 At Chapman Insurance, we want the best for you and your family, so please be careful out on the open road. Do your best to avoid as many distractions as possible. We can assist you in filing a claim if needed, but hope to help you avoid that scenario. Chapman Insurance provides insurance for everyday life. Whether you seek home insurance, health insurance, car insurance, or life insurance, the experienced agents at Chapman Insurance will treat you like family - and help you protect yours. If you don't know insurance, know your insurance agent.